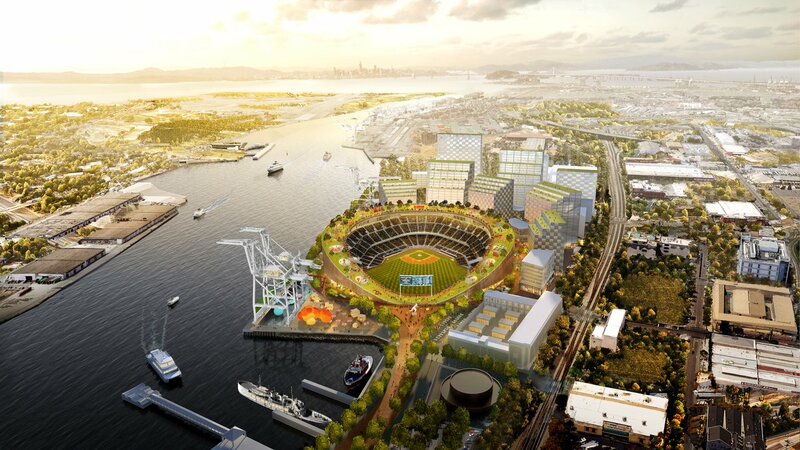 When the Oakland Athletics ownership proposed a new ballpark at an industrial waterfront site, traffic and site contamination were identified as two huge challenges. But the team and the city may have underestimated the challenges ahead on both fronts. The Howard Terminal site, as proposed by the A’s, has a lot of appeal: the unique site has the potential to add to Oakland’s urban core and clean up what everyone agrees is a contaminated area. But the extent of the contamination still needs to be determined (it’s part of the year-long study of the site), and with urban renewal going strong in Oakland, some question whether a ballpark is really a solid way to improve the area or add to gentrification. Traffic has always been an issue, and while the A’s have worked on a transit plan that includes alternative methods (including the suddenly trendy gondolas), the worry is that bringing in almost 40,000 folks on a sellout night will overwhelm resources in the area. Experience at other similar sites would say that the A’s and local officials should anticipate a worst-case scenario.